No one wants to contemplate it, but if you have lost a family member because of the negligent, careless, unjust, or reckless act of a person or entity, you may have a valid claim and the right to file a wrongful death lawsuit. Under Florida Law, such a lawsuit may be filed by the personal representative of an estate, usually named in a will or determined by a court. A wrongful death occurs when the actions of a person, persons or company are determined to be negligent, and they caused or are determined to be the legal cause of an injury which leads to a death that otherwise was avoidable. In wrongful death cases in Florida, special consideration is given to the statute of limitations, which is generally a two-year period from the date of the decedent’s death. You may have a valid claim and be entitled to compensation, but your lawsuit must be filed prior to the expiration of that statute of limitations. Every case is different so speak to an attorney regarding the statute of limitations in your specific case. 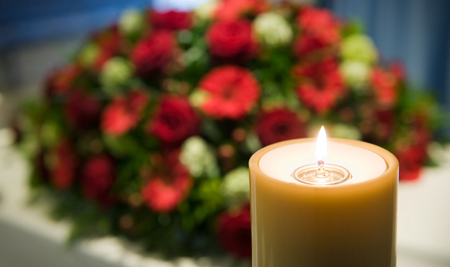 The purpose of a wrongful death suit is to provide relief to the surviving family members of a person who has lost his or her life due to the negligent conduct of another. Damages permitted in a wrongful death case typically include medical and burial expenses, compensation for the victim’s pain and suffering, and losses suffered by the family. These can include loss of financial support, services, gifts or valuable gratuities, parental training and guidance, and companionship. In wrongful death suits, facts must be investigated and evidence must be preserved in order to build a viable case. Such tasks are best handled by a skilled Florida wrongful death attorney who will represent your interests with compassion and commitment. While no amount of money can restore your loved one to you, Zweben Law Group is prepared to pursue your case in order to obtain compensation for your loss. When you need your attorney, we will be there for you. Call us today for your free, no-obligation legal consultation. Your first consultation is always free. We will keep your information confidential. Zweben Law Group proudly serves clients in the counties of Martin, St. Lucie, Palm Beach, Okeechobee, and Indian River, including (but not limited to) the cities of Stuart, Palm City, Jensen Beach, Sewall’s Point, Hobe Sound, Hutchinson Island, Tequesta, Jupiter, North Palm Beach, Palm Beach Gardens, Wellington, Lake Worth, Riviera Beach, Palm Beach, Okeechobee, Port St. Lucie, Ft. Pierce, Vero Beach and throughout the state of Florida. © 2018 Zweben Law Group Personal Injury Attorneys. All rights reserved.